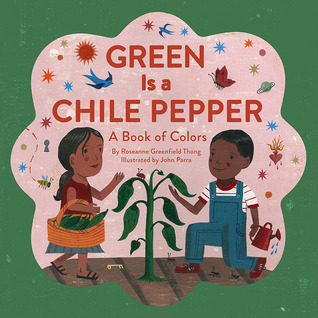 Rhyming color concept book for young people. Combination of English and Spanish words mixing languages, cultures, and traditions. Billie the armadillo set about to make her famous armadillo chili one cold afternoon. Her friend Tex, the tarantula, stopped by. He couldn’t stop to help Billie because he was on his way to the dance hall. Then her friend Mackie, the bluebird, stopped for a moment. He couldn’t help either because he was on his way to the movies. And, then her friend Taffy, the horned toad stopped for a minute too. But he couldn’t stick around to help Billie because he was going skating that afternoon. So Billie did all the work herself. And at the end of the day, her friends all smelled the aroma of Billie’s Armadilly Chili and returned with hungry belles. But Billie told them all, “No workin’ with Billie, no sharin’ the chili!” They all left sad and Billie had no one to share her meal with. Soon her friends returned with a bagful of apologies. They brought hot apple cider, jalapeño biscuits, and homemade chocolate fudge to share with Billie. 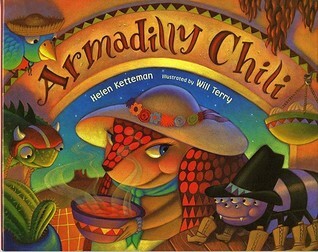 And Billie shared her famous armadillo chili with her friends.